Blog | Premier Foundation Repair, Inc. There is nothing better in the summertime than sitting under a big Dallas tree that provides shade. Feeling the cool breeze in the hot summer air can spark all kinds of memories. But, what happens to trees when a storm hits suddenly? Storms that have high winds, micro-burst or tornadoes strike can cause a lot of damage to trees and power lines. Homes can be damaged from storms as well. But, what can happen to a home foundation from a fallen tree? If a mature tree is uprooted, it can cause significant damage to the foundation of a house. Tree roots are always searching for water and nutrients. When they are seeking water and nutrients they extend themselves. When the roots grow the soil moves causing the dirt to become more dense. A root system can spread as far under the soil as the tree is tall. If a tree is close to your house the root system can bury itself under the foundation of your home. This can do many things to your home’s foundation. When a tree falls the root systems can pull up through the ground. If anything is in the way of the root system it can disrupt that area. Damage can be found in soil, a home or concrete around the effected area. This will cause voids in the area of where the roots had grown. Shrubs and decorative plants can also cause issues to a foundation. During the dry season plants and shrubs will absorb all available moisture in the ground. The best thing to do as a homeowner is to add about 2 - 4 inches of mulch under the plants to help the soil maintain moisture. If you have plant beds around your house it is best to keep the beds watered in the hot summer months. A soaker hose would be preferred. Leave the soaker hose on for at least 30 minutes. This will feed your plants and keep the soil around your foundation moist. If you have experienced a tree loss due to high winds caused by a micro-burst, tornado or straight line winds in the Dallas area you will want to call an arborist first. In the event you felt your foundation move because of the tree falling, call Premier Foundation Repair. We will inspect your foundation. All of our estimates are free to homeowners. Call us at 972-417-0823. Your bathroom remodel should begin by gathering recommendations. What’s the easiest way of doing this? Simply by word of mouth. Talk to family, friends, and members of your community! Who did they hire? Would they hire them again? If you know someone who has given you a recommendation, ask if you can see the work that was done on their project. We suggest getting 2-4 reliable recommendations, as too many can get confusing quickly. Then, set up meetings with the contractors you’re choosing from. Ask for photos from past bathroom remodels that they've completed. Focus on their expertise in working with small spaces. A different skill set is needed depending on if the remodel will be done in a small or large space. Talk about your specific needs and vision. Be sure to leave plenty of time for the contractor to tell you all that they can do. Most importantly, make sure to ask for references from their past customers. Take notes of your thoughts throughout each meeting! Next, check the references you’ve obtained. Reach out to those past customers and ask questions. Did the contractor stay in budget and complete the job in a timely manner? Would they recommend the contractor to friends and family? Were they happy with the outcome? Was there anything they wish they had done differently? Should you need any help in finding a contractor for a bathroom remodel, don’t hesitate to reach out to us! Give Premier Foundation Repair a call (972-417-0823) or check out our website. We’d be more than happy to help. The soils in Texas are tough on homes and many homeowners will have foundation problems at some point. 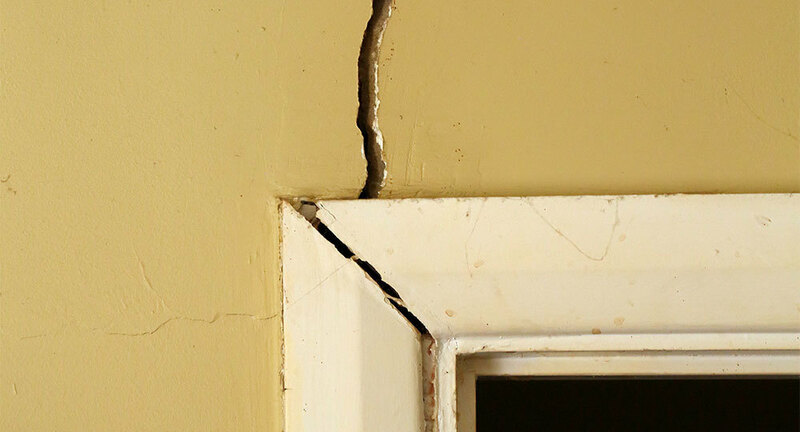 Cracks in the walls, and doors and windows that stick shut are a common sign of foundation problems. If you start to notice these issues in your home, it is important to have a professional inspect your home. Cracks left alone will continue to get worse which can lead to expensive repairs. If you find yourself in need of foundation repair, follow these quick tips. Remain calm and do some research. Find a reputable company that has been around a while. Dallas is filled with foundation repair companies that use cheap concrete piers that will not last. The piers are going to protect your biggest investment. At Premier Foundation Repair, we use DynaPier® foundation piers to repair and restore the integrity of your home. The reasons are simple, the DynaPier® has several distinct advantages over the competition. This piering system was built to last and provides superior strength other piers can not match. For example, it is one of the only piers on the market that is constructed of both concrete and steel. It uses the strength of both to permanently support your home. Second, it is installed directly beneath the footer of your home, which means that the structure will not be weakened by drilling into it. Several companies drill holes into the footing which can compromise the structural integrity of the footing. It’s easy to see why our piering system is superior to our competition. If your foundation shows signs of settling, like cracks in the walls and ceilings, doors and windows that stick or unlevel floors, contact Premier Foundation Repair. There are several types of home foundations, poured concrete, cinder block, slab, etc. Most Dallas, TX home foundations are made up of concrete poured over steel rebar to form a slab. The steel is in place to keep the concrete from moving and to assist in holding it together. The combination of steel and concrete forms a strong foundation. But, as most Texas homeowners know, the soils here can wreak havoc on a the structure of a home. A little settlement is normal in a home, so how do you know if you need to have your property professionally repaired? First let's recap the common signs of a failing foundation. Cracks in the drywall, exterior walls or ceiling, doors and windows that stick shut, and uneven floors. These are the major signs that you should have your foundation inspected. However, don't panic just yet, your home might be ok.
Be sure to keep an eye on your home and take note of any sudden changes. If you have the same hairline crack in your drywall or ceiling that has been there for 10 years with no change, your home likely has minor settlement issues that does not require immediate action. However if that same crack started at six inches and grew to larger than two feet in only a few months, it is time to have it evaluated by a professional before it gets worse. Some doors and windows will stick slightly depending on the season as the soil shrinks and expands with the weather. But if a door or window in your house will no longer open or close, it is a good idea to call and have your property evaluated. Call Premier Foundation Repair for a free home estimate. 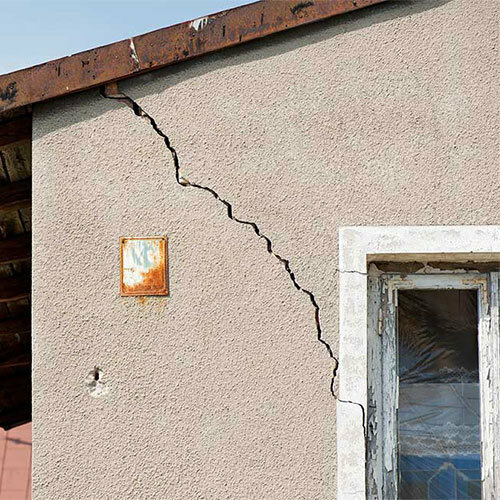 So you just found out that your home has major foundation damage and needs to be repaired. You have noticed cracks in the walls, but were hoping they would go away. It turns out the house is settling and needs foundation pier system. Until now, you have never even heard of pier system, so now what do you do? Don’t panic, call the experts at Premier Foundation Repair. We put together a few tips to help you through the process as you meet with Dallas foundation repair companies. This seems like a no brainer, but it is important to take some time to research the company. Read the company’s website and learn about their products. Find out how long they have been in business? It is very important to hire an established company, rather than a company that might not be around to honor their warranties. At Premier, we’ve been serving the Dallas metro for over 30 years. Here are a few more important questions to ask. What kind of pier system do they use? What are the benefits of their piers? Do they offer a warranty on their products? Also, be sure to look online for some reviews. Most companies will have reviews on Google, Angie’s List, HomeAdvisor, etc. There are several different types of foundation piers available, and every company likes to boast of how their system is the best. 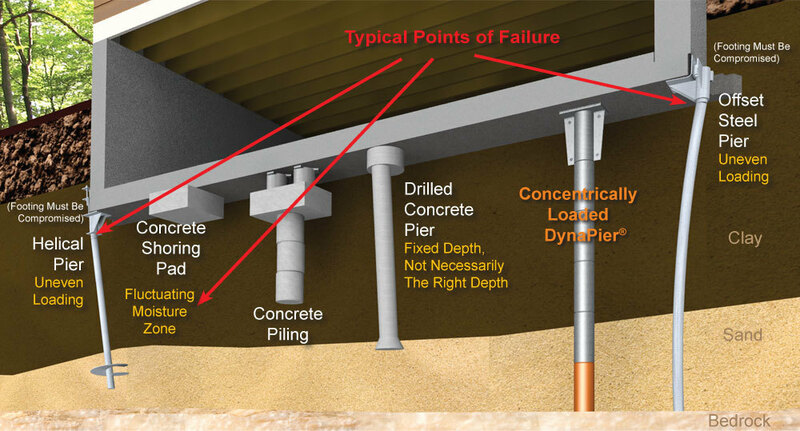 It is important to take the time to educate yourself about the pier system that a company uses to fix your foundation. Any quality repair company will have extensive information about their products. There are a lot of cheap piers on the market that will fail relatively quickly. At Premier Foundation Repair, we offer a couple choices of piers depending on what works best for the homeowner. It is important to pay close attention to your whole experience with each foundation repair company. Was the company polite on the phone when you called them to schedule an appointment? You can tell a lot about how a company treats it’s customers by their customer service on the phone. Was the technician that evaluated your house professional and knowledgeable? Does the company warranty their products? Be sure that the company is friendly and customer oriented. This means they will take care of your property and your needs. There are several warning signs that your home might need foundation repair. It is important to pay attention to your home and watch for anything unusual. We want to share some common warning signs. If you notice these around your house, give us a call. We get a lot of phone calls for cracks in the slab, cracks in the dry wall and ceilings, as well as cracks on the exterior walls of the home. Cracks typically mean that the home has settled in some areas causing part of the structure to shift or sink. This unbalance causes the foundation to separate and crack, and as a result the walls will start to crack. Installing a pier system will solve the problem. Another common issue is when doors and windows begin to stick and become difficult to open and close. This is often a sign that the home has settled. The settlement has placed extra pressure on the door frame which makes it difficult to open and close. Most likely the home will need some foundation piers to level the home and fix the problem. As a home owner it is important to do some research on the different types of pier systems that each repair company uses. At Premier Foundation Repair, we offer a few different options of foundation piers. We like to give our home owners a couple of choices. If you see signs that your home may need foundation repairs, call us and we will come do a free home estimate. It is important to remember that proactive foundation repair is much less expensive than reactive. Often times home owners can save themselves a lot of money by fixing a problem early rather than waiting to long for it to get worse. So call Premier Foundation Repair today for a free home estimate.